Discussion in 'Music' started by antonsm, Feb 13, 2019. Beethoven's own instrument was the piano, and in his improvisations - which made him the darling of the Viennese salons - he merged virtuosity and unbridled expression. The piano concertos give a clear idea of these performances. At the same time, they are prime examples of Beethoven's ability to create large orchestral works with seemingly endless arcs of tension. 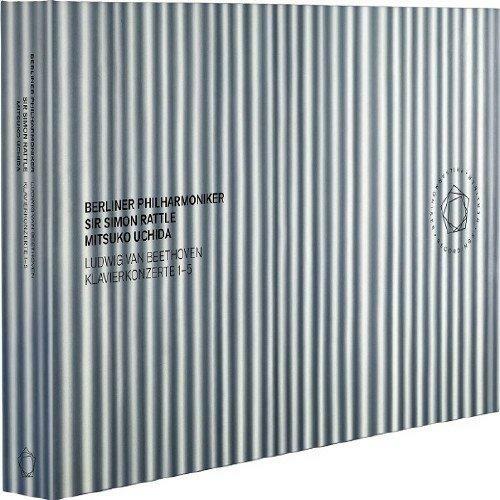 The complete recording of all five works with Mitsuko Uchida and Sir Simon Rattle was one of the most spectacular projects of the Berliner Philharmoniker during the Rattle era - and at the same time the highlight of the collaboration between the orchestra and the pianist, which began in 1984. The performances were given a rapturous reception in the auditorium and in the press - as one critic wrote, the audience was overwhelmed by a "collective sense of happiness". With vibrant freshness, the performances brought the whole combative energy of these works to life. At the same time, they revealed Beethoven's incomparable spirituality, which - according to Mitsuko Uchida - "allows us to see to the end of the universe".